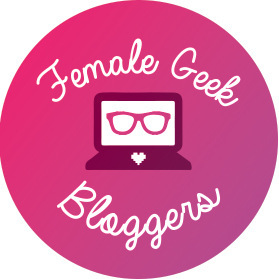 Welcome to my very first tech review for A Geeky Gal! Every Tuesday is game night for my friends and me. What better way to spice of a Tuesday than with good food and games? While we had originally been playing board games, my husband and I finally got to experience our friends’ Switch. The night ended with Alec and I playing Mario Kart, and it was such a blast that we and our friends decided to buy two additional controllers so all four of us could play! Overview: Matt at Normal Happenings and I purchased two snazzy Switch controllers. He bought the red Mario “character and item collage” controller. I bought the black Breath of the Wild controller with a Link graphic decorating the side. Both were ordered from Amazon using Amazon Prime. Review: Both controllers were about $20 each with the Mario controller coming in at $21.73 and BoTW coming in slightly cheaper at $19.19. Shipping was free with Prime, and they both arrived in two days. Both controllers are officially licensed by Nintendo which gets props in my book. Both controllers have 10 foot USB cables, analog cap covers, and soft touch grips. They also lack vibration support, amiibo function, and motion controls. Both controllers are beautifully designed. Matt quickly said he favored the Mario design over the BoTW design, but I disagree (probably because black is my favorite color). What we can agree on is that both controllers are nice to look at! I may update this review with how the graphics are holding up after some more use. Both controllers are comfortable to handle. While they may be a bit larger than the Joy-Cons, they were easy to use. The skins of the controllers are soft and ergonomic. They have a bit of weight to them and feel sturdy. The joystick heads are also changeable for you to make your gaming experience even more comfortable. Not only are these two controllers pretty and comfortable in your hands but the controls are quick and smooth. Matt had no problem beating all of us at Mario Kart (though that may have less to do with the controller and more to do with his skills). I found the controls to be easy to use and had no problems getting used to the placement of things. Overall, both controllers were great purchases. It’s hard to find good controllers that are also cheap. While some may miss the vibrate function and the motion controls, these controllers are still great choices for your player two (or three or four). Bottom Line: These are two very sturdy and affordable Switch controllers! Which controller is your favorite? What was your latest tech purchase? Tell me in the comments! Ahh! Your controller review is finally up! Look at them. Just look at them! Thanks for your help on it! Can’t wait to put them through more use to see how those graphics hold up. Awesome!! So happy I could help!